President, Achievement Rewards for College Scientists (ARCS) Foundation, Inc.
Lynne Brickner is the president of Achievement Rewards for College Scientists (ARCS) Foundation, Inc., a national nonprofit volunteer women’s organization founded in 1958 to advance science and technology in the United States. Over its nearly 60-year history, the ARCS Foundation has awarded more than $100 million to more than 9,500 promising young U.S. scientists seeking advanced degrees in STEM fields at top-ranked research universities and outstanding colleges. Brickner retired as Vice President and Associate General Counsel of Northrop Grumman Corporation following a long career in the aerospace industry. She started her legal profession in the areas of corporations, corporate securities, and real estate investment. Brickner has been active with the ARCS Foundation for15 years. 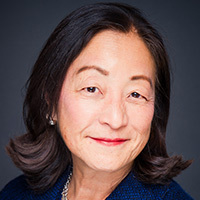 She served as President of the ARCS Foundation chapter in Los Angeles and Vice President of Finance for the national ARCS Foundation prior to assuming the role as national President. She is currently a Trustee of the Diocesan Investment Trust of the Episcopal Diocese of Los Angeles; a Trustee of her alma mater, Scripps College; General Counsel for the National Recreation Foundation, and a Member of the Visiting Committee of the Division of Social Sciences of the University of Chicago. Brickner has a B.A. from Scripps College, a master’s degree from the University of Chicago and a JD from Columbia University School of Law.